I attended a lecture by Betsy Greer, the "Godmother of Craftivism", last month at the Houston Center for Contemporary Craft. Betsy gave a slide show with an explanation of craftivism followed by a number of diverse global examples, large and small, and then gave suggestions of how to find a way that we could practice craftivism too. Here is Betsy's super website if you haven't already been there. 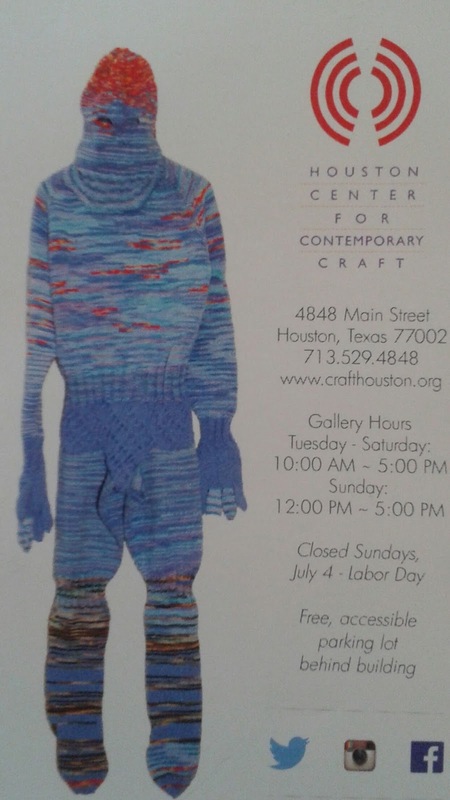 I first found out about craftivism, the movement that Betsy started 12 years ago, in Houston's main public library downtown picking up her book of the same title on the "new and notable in 700s" display stand. Since reading the book I have recommended and bought it for several friends. I have paid attention to other crafters with #craftivism in their tweets, subscribed to her newsletter, contributed to the manifesto and reflected on how I could make a difference through my love of craft.